Support this blog by donating to my Paypal (send donations to my email svfreebird87@gmail.com) or my become a patron on my Patreon page! *Amazing Stories’ “Interview: Kaitlyn McKnight YA Author of a YA Novel:” This 12-year-old is the author of her own book, The Zodiac Saga 1: The Search fpr the Temple, Friends, Foes and the Zodians. *Huffington Post’s “Nathaniel Mary Quinn’s Disfigured Portraits Would Make Even Francis Bacon Shudder:” “Gazing upon a series of Nathaniel Mary Quinn’s paintings feels like staring into a Ripley’s-esque hall of medical oddities and botched surgeries, situated alongside the black sheep and circus performers themselves who’d banded into a cast of outcasts. And yet the multimedia hybrids feel above all truthful. The portraits — bulging, distorted and ripped to shreds — capture something real about our bruised senses of self. Something we often look away from. Quinn’s series “Past/Present” features large scale works combining black charcoal, oil-paint, paint-stick, gouache, oil pastel and cardboard. 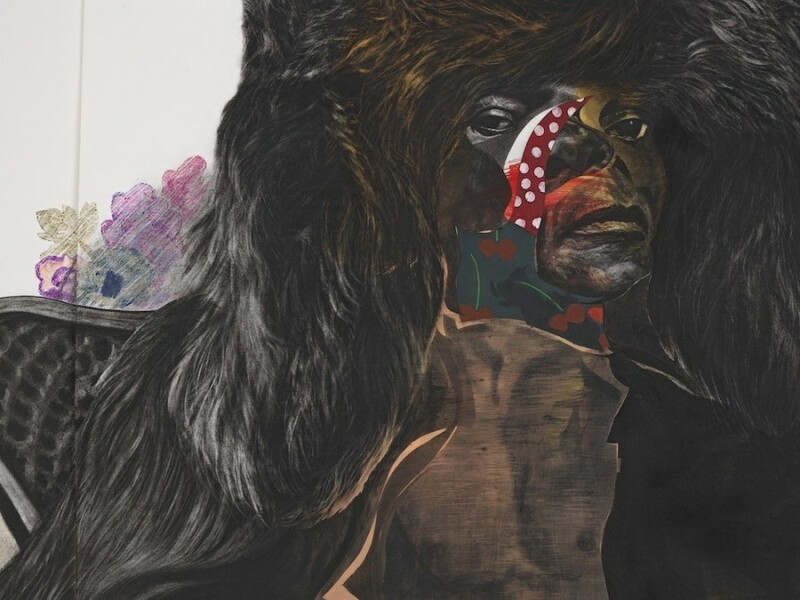 Somewhere between Wangechi Mutu and Francis Bacon, the works are as intoxicating as they are repulsive, like a stranger you’re eager to know though already frightened by. Quinn’s images possess a perpetual sense of now-ness, as if capturing a person at a particular moment, tangled up in all the moods, memories and whatever else happens to be lingering in the air.” Click on the link for the interview. *Check out Graveyard Shift Sisters‘ website where they write about black women in horror. *Whether it is you or or organization you are part of, consider signing this letter about Net Neutrality for Commissioners Clyburn & Rosenworcel because taking away Net Neutrality will greatly affect our communities. *The Indypendent’s “Greening our Desires:” “It’s been decades since astronauts stood on the moon, and now we are being forced to see from the ground what they saw in space. Climate change is shrinking our measure of the planet as the carbon spew of a few nations causes the tides to rise for dozens of others. We are interconnected against our will. Faced with a question of survival, we have only one answer: a new global humanism.